iMakr are the world leading reseller of best-in-class 3D printers. 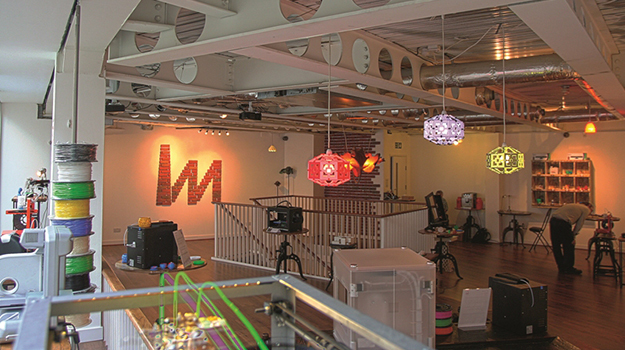 iMakr opened their first store on Clerkenwell Road in the heart of London’s design district in April 2013. iMakr are now the world's largest independent 3D printing store. In June 2014, iMakr opened their second flagship store in Manhattan. iMakr offer their products worldwide via their website iMakr.com. iMakr offer you the best quality 3D printers thanks to their expert team of engineers who test and approve each product that hits the shelves. iMakr are able to provide you with the best and most advanced consumables thanks to regular testing of innovative new products. iMakr are known for providing the best standards of customer care in the industry. Our team of experts are able to handle any query, and will answer swiftly and efficiently. iMakr offer bi-weekly training every Tuesday and Thursday. As well as bespoke, on-site training should the need arise. Training is carried about by a team of skilled iMakr engineers and 3D printing consultants. After every sale, we follow up with purchase within 7 days and make sure that every customer is able to adopt the technology without difficulty. We are the maintenance and repair centre for all our partners. We keep stock of spare parts for all machines for immediate customer support and quick response time - usually within 24 hours. iMakr participate regularly in prominent events and exhibitions where they demonstrate 3D Printing in an effort to help people understand what this technology can do for them. iMakr have been invited by world leading companies and brands to showcase 3D Printing technology in a range of environments and spaces. If you need information or any query, please contact us at info@imakr.com.